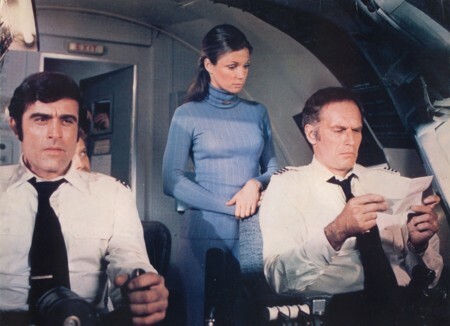 Charlton Heston loads a bunch of Hollywood has-beens and 70’s celebrities onto a 747 bound for Minneapolis, little realizing that one of the passengers is an insane Vietnam vet (hammed to perfection by Brolin). Soon the plane is headed for Moscow, everyone starts having flashbacks and a woman gives birth to the cleanest baby ever born. This hilarious disaster movie has daft characters aplenty including Rosey Grier as a hulking jazz cellist.